Click the Image Transparency tool button ( ) on the Images toolbar. Choose Image Transparency in the Images menu. Type transparency in the command bar, then press Enter. You are prompted: Select images. Select the images you want to set the Transparency property of. Press Enter to accept the current mode. Choose On in the prompt menu or type ON in the command bar, then press Enter to switch the Transparency property of the selected images on. Choose Off in the prompt menu or type OFF in the command bar, then press Enter to switch the Transparency property of the selected images off. 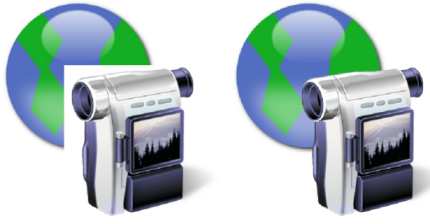 Click the Image Frame tool ( ) in the Images toolbar. Type 0 + Enter to hide image frames. Type 1 + Enter to display and plot image frames. Type 2 + Enter to display but not print image frames. Go to Drawing / Underlays. Set the Frame system variable = 3: Use individual settings. Select the Image Frame system variable. 2: Display but do not plot image frames. Make sure image frames display. Click the Clip Image tool button ( ) on the Image toolbar. Type imageclip in the command bar, then press Enter. Press Enter to accept the New Boundary default option. Press Enter to accept the Rectangular default option. You are prompted: Specify first corner. Click a point to define the first corner of the clipping rectangle. The clipping rectangle displays dynamically. Click a point to define the clipping rectangle. The properties of the image display in the Properties Bar. Under Misc / Show clipped choose Yes or No .